What specifically are you looking to achieve from your training here? 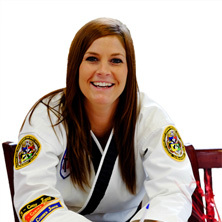 Waiver of Liability, Hold Harmless & Assumption of Risk I, the undersigned (or my parents or legal guardian if I am a minor), have voluntarily submitted my application for registration as a student in the ATA Taekwondo program. By submitting my application for membership, I do hereby certify that I am fully aware of and understand the inherent dangers in participating in activities involving Taekwondo and other martial arts, and of the basic safety rules and procedures, including, but not limited to, promotional rank testings, camps, tournaments, and clinics which I might attend. 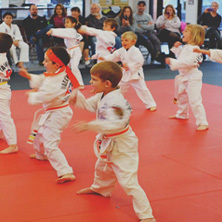 I understand and agree that the operators of Thrive Martial Arts, Thrive LLC, the American Taekwondo Association, its owners, the instructors, or any other student, will not be responsible for my safety, nor will any of these parties or individuals serve as guardian of my safety. 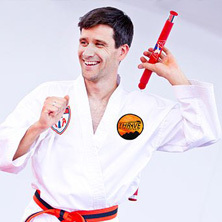 I understand and agree that in consideration of my being allowed to participate in Taekwondo training, I hereby personally assume any and all risks involved in connection with said training. Furthermore, I release forever the instructors and students of Thrive Martial Arts, the American Taekwondo Association, their agents or assigns, and any other individual or entity associated with this program, from liability, whether foreseen or unforeseen, arising out of my participation in Taekwondo events or activities; including any harm, injury, or damage that may occur to me or befall me, my family, descendants, heirs, or assigns while practicing or performing Taekwondo at any time or place, or while traveling to or from Taekwondo related events or activities. I state that I am of lawful age and legally competent to sign this agreement, and that my signing this agreement is my own free act (unless this is signed by a parent or legal guardian). I understand and agree that the terms herein are contractual, and they are not mere recital or simply for information purposes. 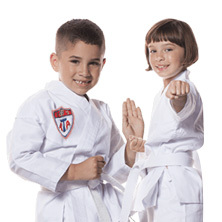 I understand that pictures taken at Thrive Martial Arts, or American Taekwondo Association events and activities may be used in advertisements. Student’s pictures and names may also be posted on the Thrive website. I have read, understood, and fully informed myself of the contents of this agreement. I assume sole responsibility for my physical condition and capability to perform under the program, promotional rank testing, tournaments, camps or clinics in which I may participate.